Speaking at the National Governors Association in Rhode Island, Musk ominously suggested we could be facing a future in which intelligent machines actually destroy mankind. “AI is a fundamental risk to the existence of human civilization in a way that car accidents, airplane crashes, faulty drugs or bad food were not. They were harmful to a set of individuals in society of course, but they were not harmful to society as a whole,” Musk told Nevada Governor Brian Sandoval on Saturday. 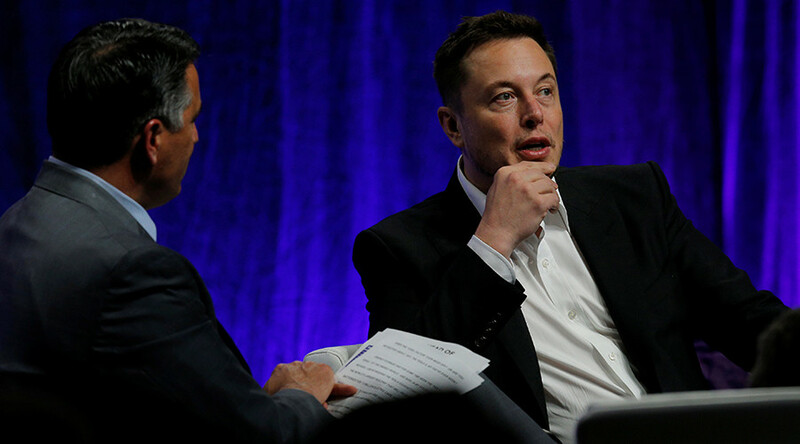 After earlier advising politicians that outdated laws need to be relaxed in order to facilitate innovation, Musk admitted that he favors government regulation when it comes to robot technology. “I think we should be really concerned about AI. AI is [the] rare case in which we have to be proactive in regulation instead of reactive,” he said. “There will certainly be a lot of job disruption because what’s going to happen is that robots will be able to do everything better than us,” he said. Following lucrative business ventures, such as the $1.5 billion sale of PayPal, Musk has more recently been focusing his efforts on futuristic means of travel. Last year, Musk said he believed his SpaceX company will be able to ferry people to Mars by 2024, and speaking at the governors’ meeting Saturday, he outlined his visions for future motor travel.